What if you filmed the Batman TV show with a cast of little kids? 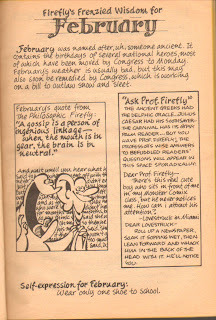 And Part 3 with a special guest appearance! Hope you liked it! WAH WAH WAH!!! Here are six stories of Tom and Jerry as narrated by Bret Morrison. 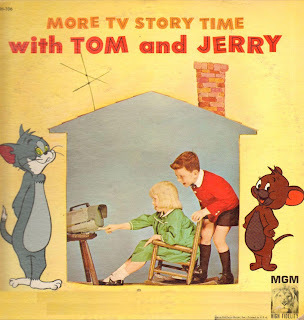 It's a bit odd to put together a record of two cartoon characters who don't even talk, but it's still a neat old record (even if they do throw in a squeaky voice every so often). One thing I like about this one is the record cover. What's up with Tom's eyes? It looks like he's been hypnotized or something. I also love that TV the kids are using in the photograph. This record's not dated, but going by that TV it looks like this was done in the late 50s or early 60s. Anybody got an idea on this?